This feast celebrates belief in the Immaculate Conception of the Blessed Virgin Mary. It is one of the most important Marian feasts celebrated in the liturgical calendar of the Roman Catholic Church. For reasons certainly linked to its history of Spanish colonization, and perhaps to its precolonial history, feasts are an especially important element of Catholic life on Guam. Chamorro women direct the care and feast for Santa Marian Kamalen, the Patroness of the Marianas. December 8, the Feast of the Immaculate Conception, is celebrated with particular attention and ceremony in the Philippine Catholic Church. 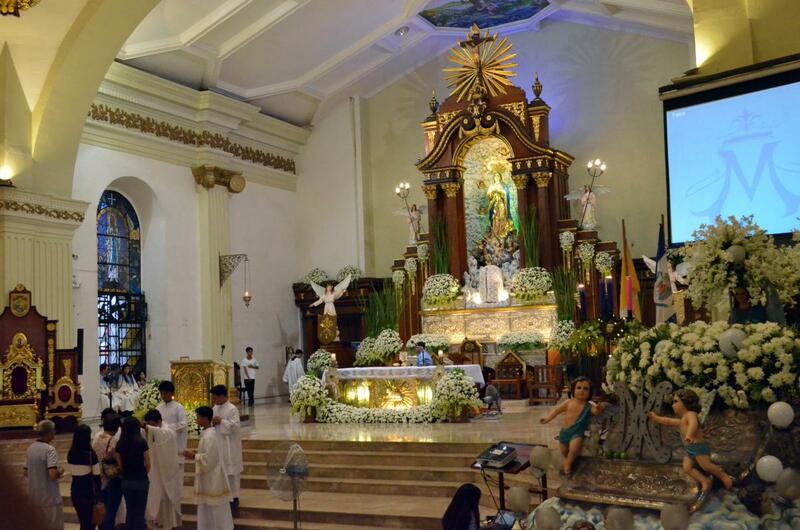 Filipino Catholics have an especially strong devotion to Mary. Devotees attribute many miracles to her.